Top floor apartment sleeps 4 - 6 with 2 on the double sofabed. Newly refurbished in a quirky style. Sit and watch the sea from the breakfast bar and doodle on the chalkboard top! A great base for your visit to Brighton with everything just a short walk. Comfy beds,100% cotton linen, free WIFI, cool decor. Quiet bedrooms at the rear perfect for 4, can sleep 6 using sofa beds. You are in the heart of Kemp Town with its many restaurants and Pubs and only a short walk to the exciting lanes for shopping or the cultural Brighton Dome. Ideal for business groups as it is only a 10 minute walk to the conference centre on the seafront. Brand new kitchen fully equipped with tea, coffee, oil and herbs. Brand new bathroom with huge walk-in shower. Both bedrooms can be set up as double or twin. We have been managing our holiday lets since 2008 in the wonderful city of Brighton and hove. We give that personal touch as we are from Brighton and are not a company as such so you can actually speak to us! We endevour to make your stay as stress free as possible. If you have any specific requirements just ask and we will see what we can do. I worked in the corporate world for a number of years while Jan worked in a local family pub business, so together we have grown up to be customer orientated although from different routes! Lower Rock Gardens is perfectly placed to visit Brighton on foot. You are next to the sea, near the pier, Dome and lanes plus you have the benefit of being in the heart of Kemp Town with all of its restaurants, pubs and activities. 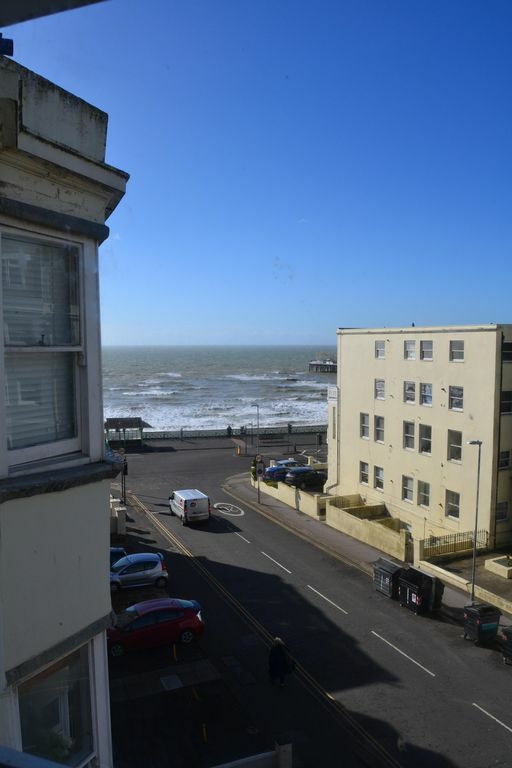 Lovely Sea View, near to all the amenities and the lively St James Street, new Zip Wire , Pier and Beach. The bathroom has just been refurbished to have a luxury walk in shower. Large double sofabed, TV, WIFI and some games. Fully equipped modern kitchen. Dishwasher, washing machine, oven hob microwave fridge. Small table in lounge. Seats 4. From the Marina. The biggest marina in the South East. Beautifully presented apartment with everything you need. The hosts were very communicative and attentive. The apartment is in a perfect location for activities and amenities, we didn’t need the car at all. Would highly recommend this apartment!! We stayed for 4 nights and were very impressed.Jan the owner was very helpful and welcoming,the apartment was clean and had everything we needed.Best of all was the view of the sea and the short walk to the beach.The location of the flat is also perfect for the shops and restaurants of Kemptown.The main shopping area and the lanes are just a 10 minute walk.We loved Brighton there is so much to see and do and the people are very friendly,we will be back! Weekend stay for the marathon! Lovely apartment very convenient to the centre (and you could see the sea!) yet just far enough away to avoid the noise of party revellers. Apartment very clean and newly decorated; furnishings added a quirky style and feel. As a family of 5 we had sufficient space. Would definitely book again. Apt is walking distance to main locations in Brighton. Apartment was cozy and well equipped. Windows in the bedrooms were quite noisy if weather was slightly windy. Thank you for your lovely comments it was a delight to be your host! It can get really windy in the seafront so we have made some little wedges now to help!! We (2 adults, 2 children and one little dog) stayed 1 week. We absolutely loved it. All we needed was there. The flat´s size was absolutely fine for us. Great area and sea view. The communication to Jan and Julian was easy and straight forward. We will come back. With the sea on the doorstep sailing, windsurfing, surfing and scuba all available. The South Downs are walkable from the door for keen walkers. Many stables within 10 miles for riding. Brighton beach less than a mile. Short drive to smaller beaches. Gatwick airport is 20 minutes by train, 25 minutes by car. Brighton has excellent rail services to London and the surrounding area. Newhaven port links you to France with a 4 hour crossing to Dieppe.